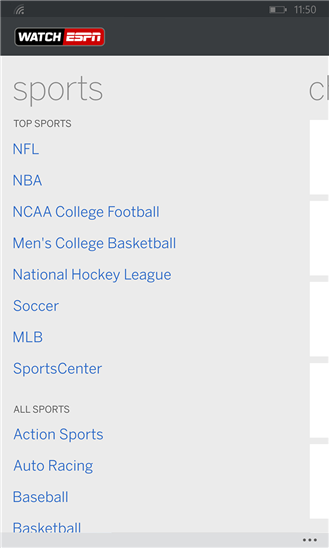 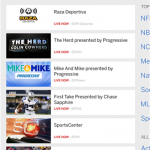 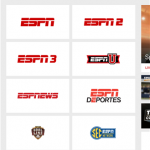 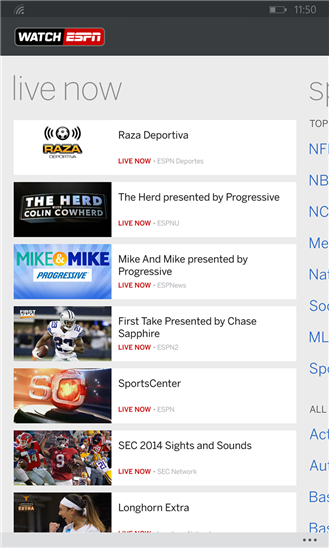 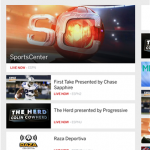 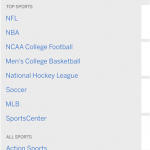 The free WatchESPN app lets you keep up with your sports anytime, anywhere on your Windows phone. 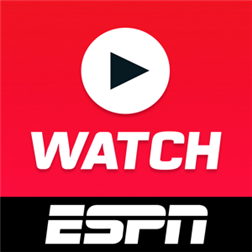 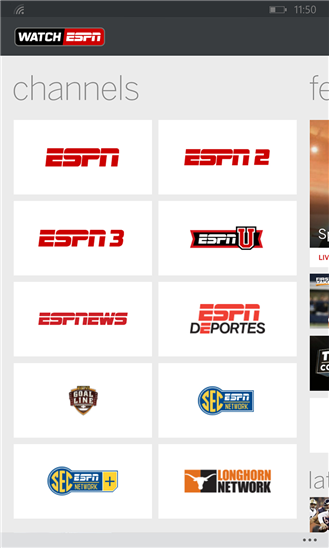 Watch live games and studio shows with 24/7 access to ESPN, ESPN2, ESPN3, ESPNU, SEC Network, SEC Network Plus, ESPNews ESPN Deportes and Longhorn Network. 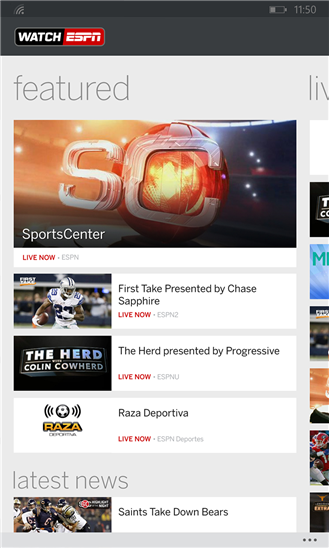 You can also watch on-demand clips of the latest news and highlights.